Happy Monday! 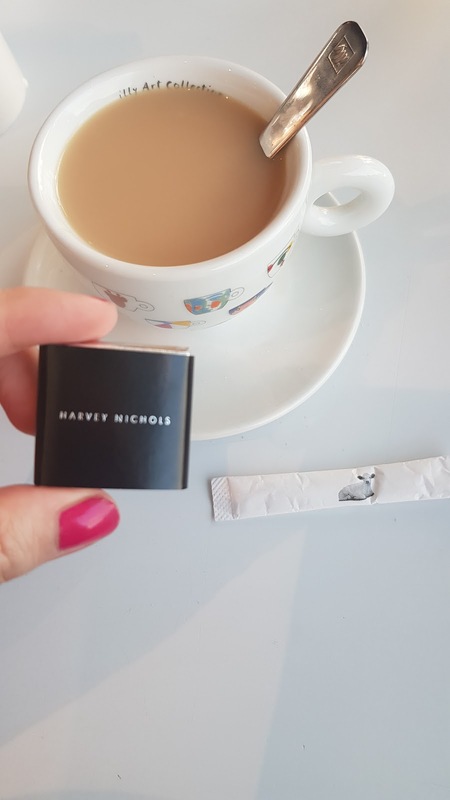 I hope you've all had a nice start to a new week? 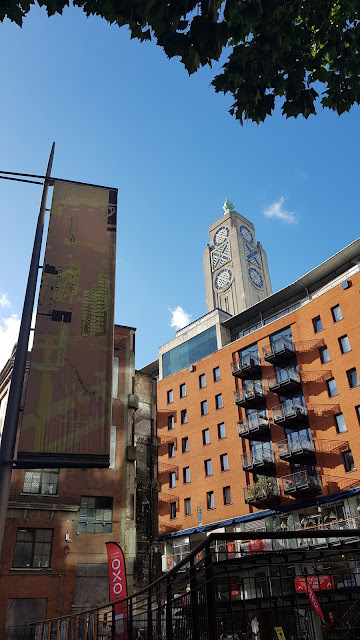 A different kind of post from me for this week, but if you caught me over on Instagram on Friday you will know that my friend and I visited the Oxo Tower Restaurant for my friends birthday. It's somewhere I have always wanted to go, and when my friend said she'd like to try it too we booked our table a few months ago. 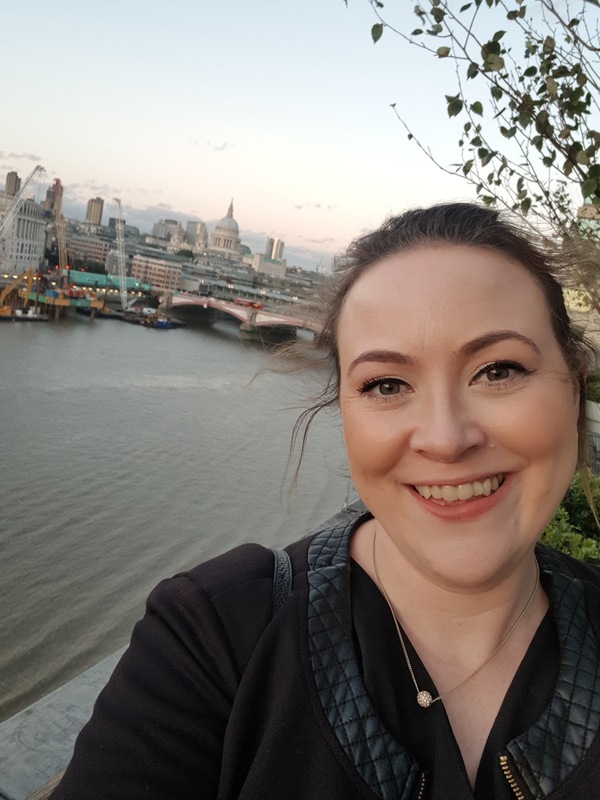 I loved it so much that I thought I would share the experience with you just in case you also fancy visiting. Located in one of the oldest wharfs in London, the Oxo Tower is a prominent fixture on the River Thames. 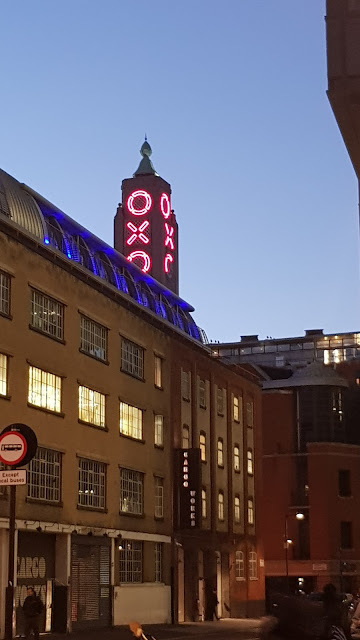 It was once a power station and then the Oxo factory. 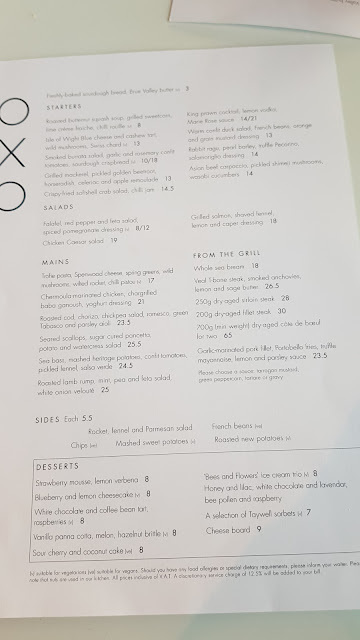 We opted for a 3 course meal in the restaurant for £33.00 the menu had some great choices, and was great for an early evening meal overlooking the River Thames and watching the world literally floating by! Our starter was duck salad with fragments of orange - when it came it was much bigger than any starter I have ever had! Really filling and yummy. 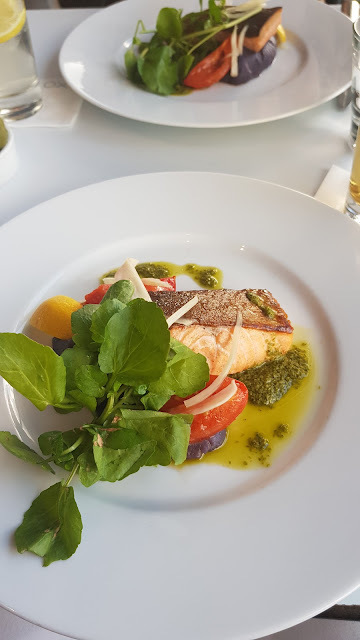 We both opted for a main of Salmon on a mash bed with Beetroot - I personally loved this new mash concoction and I ate the lot! 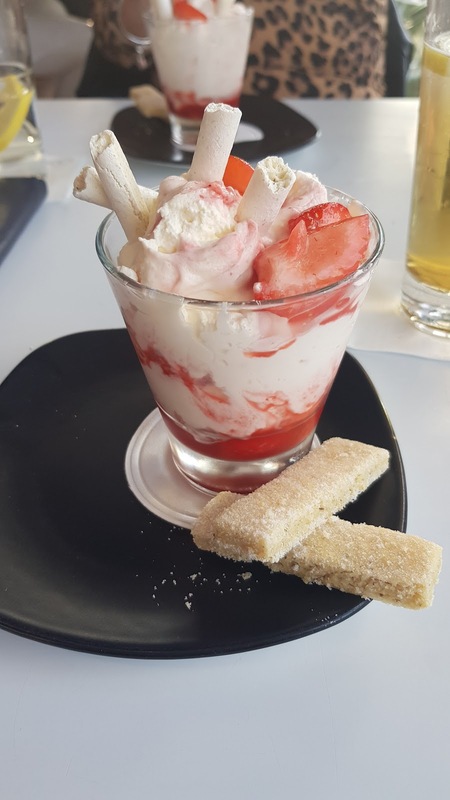 Dessert we had high hopes for, we both opted for Eton Mess, but when it arrived looks were deceiving and it was literally a glass cup with several Strawberry slices and then a whole tub of thick clotted cream!! It's was hard to stomach and has to be the weirdest desserts I have ever had. When our lovely waitress asked us if we enjoyed our dessert we told her honestly it was awful! She was very concerned and very nicely offered us something else in place of our uneaten desserts - this was so very lovely of her. I had a massive tea for one (with my very own teapot might I add!) and my friend had a glass of wine for free. We both were really thankful that we had a nice waitress who went above and beyond for us. 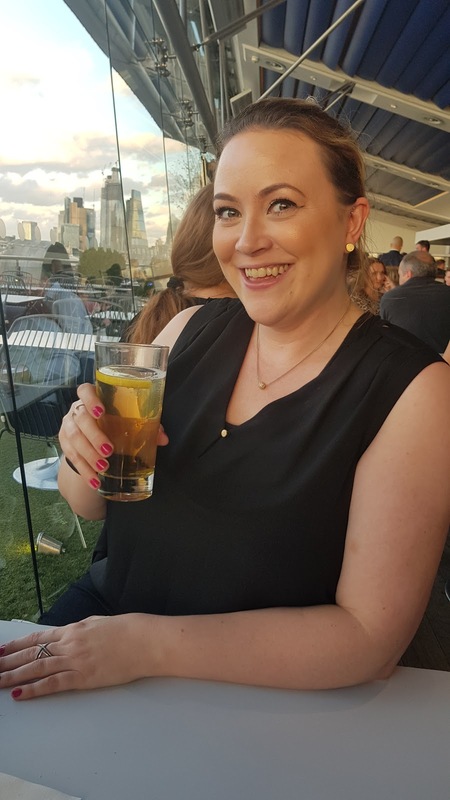 Here's me below, blinded by the sunset that I could see from our seats - a truly lovely way to spend a few hours. 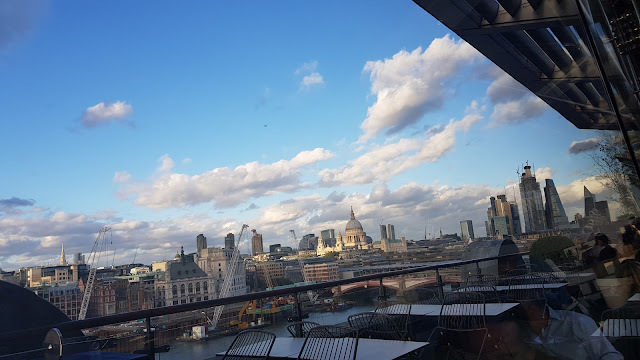 Once we had paid, and said thank you for our waitress' help, we asked if we could go and sit on the balcony to watch the sunset - the balcony at the brasserie is at the other side of the restaurant and was packed with people enjoying their Friday night. 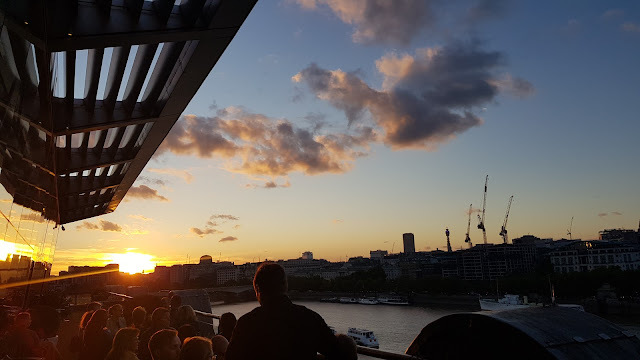 But our waitress waited for us with our tray of drinks and escorted us to a reserved table with blankets and cushions so that we could watch the sunset! Truly magical. 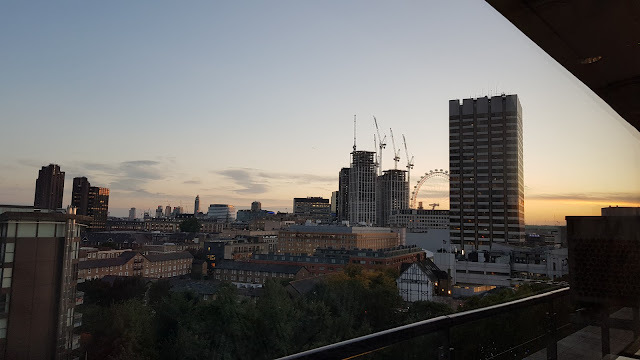 Loving Friday evenings in London Town. 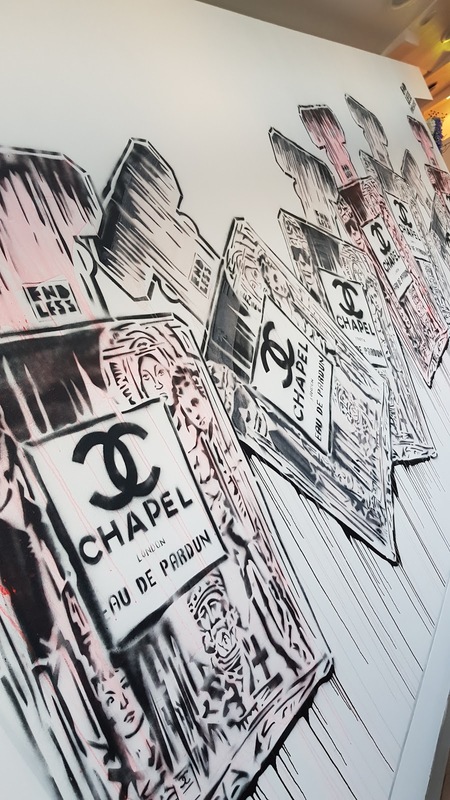 Because the Oxo wharf is full of art galleries and exhibition spaces the corridor to the ladies loos had the most amazing Chanel inspired graffiti artwork. I'd love someone to paint something like this in my house - it's soooo cool. 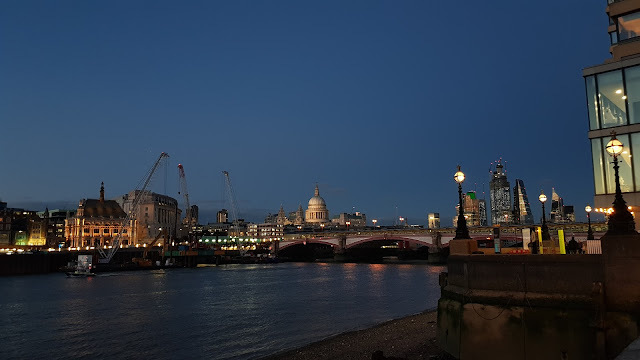 Once all of our photos had been taken and it was time to leave, we popped downstairs to the wharf and into one of the art shops and made a couple of purchases to remember our lovely evening out. Journey through London’s iconic theatres and the famous productions that have taken place within them with OXO’s new Not Afternoon Tea experience. Two courses from OXO’s specially-crafted pre-theatre menu for £29 per person in the OXO Tower Restaurant. Fancy picking up some suave cocktail moves (and shakes)? If yes, make a beeline for the bar. 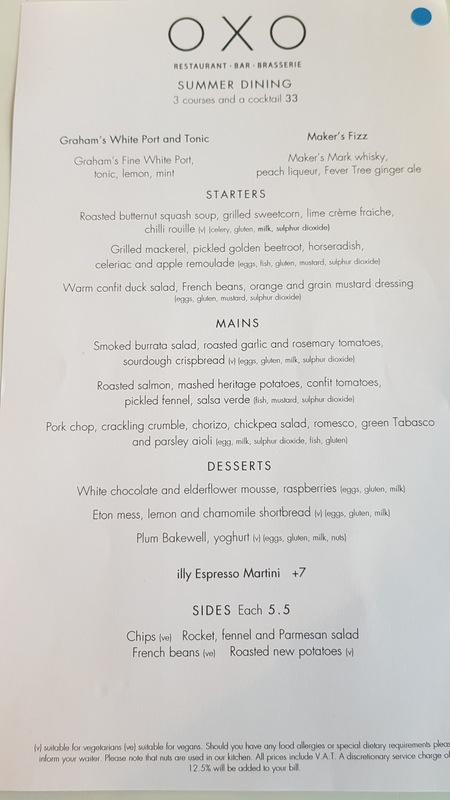 Six incredible courses for £85 or £130 with a paired glass of wine for each course. Don't be afraid of asking to sit near to the balcony, so that you can enjoy the views! 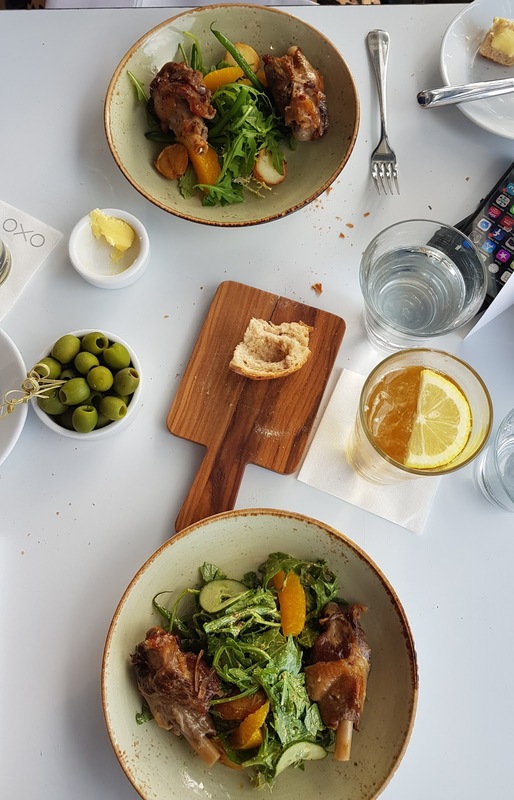 If they offer you Olives when you first arrive, decline these because they will be added to your bill for £4.00 extra. Also extra is the one round roll in the second photo above, this was also £4.00 extra! 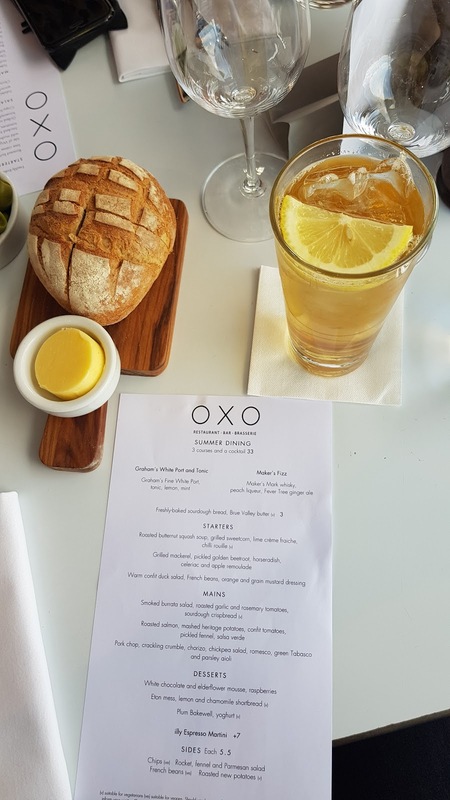 To book a table at the brasserie - call the Oxo reservations team on 020 7803 3888 or email oxo.reservations@harveynichols.com for availability and bookings. 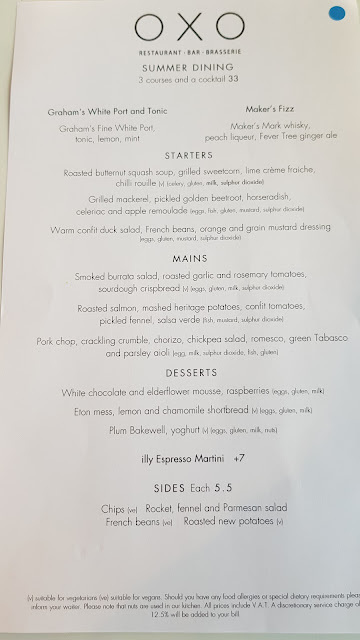 Bring sunglasses with you, because it gets sunny in the restaurant and the sun from the huge windows can blind you. 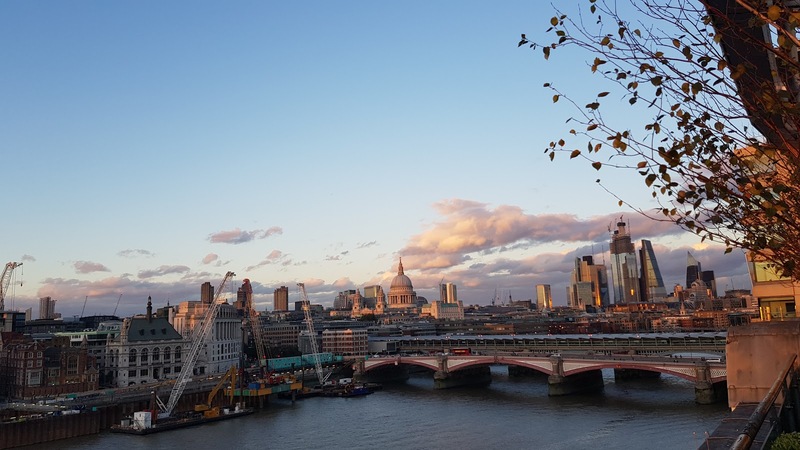 That's it, just go along when the weather is nice and enjoy the epic views, and let me know when you go!